Slim Chickens began with a craving for a quick quality meal - fresh chicken cooked to order. 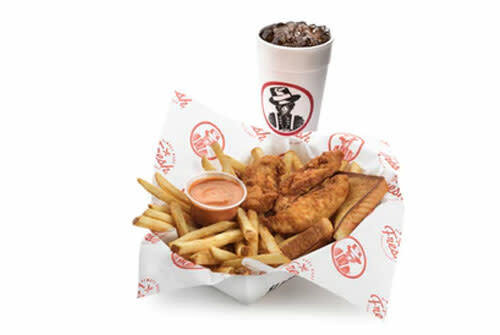 Beginning in their garage testing different recipes, the first Slim Chickens restaurant was launched in 2003. Over a decade later, everyone knows that there's something special about their hand-breaded chicken tenders, fresh Buffalo wings, and handmade dipping sauces that keeps their loyal fans coming back, over and over again.